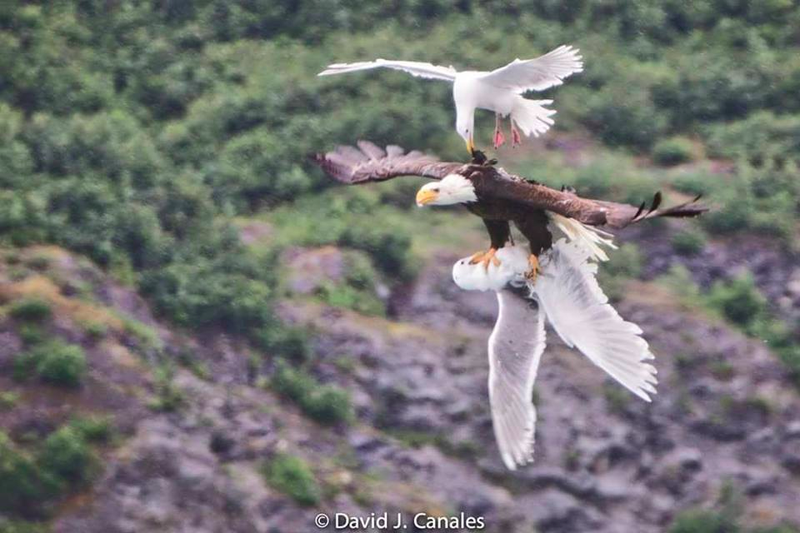 Photographer David Canales captured this outstanding photograph of three avian dinosaurs doing battle while kayaking on Alaska’s Prince William Sound. “One of the most epic sights I’ve ever seen,” Canales wrote on Instagram, where he’s been cataloguing his recent adventures in Alaska. Another photo, also posted to Canales’ Facebook album shows the encounter from a different angle, with not one but two gulls giving chase.